Product #46108 | SKU 169-HU-110-L | 0.0 (no ratings yet) Thanks for your rating! 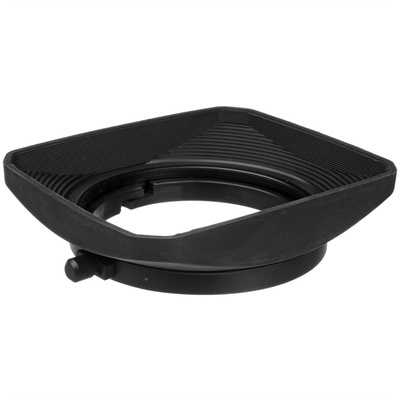 The 16x9 110mm Rubber Lens Shade is a broadcast-style shade designed to work with wide angle convertors such as the EX 0.7x. Using a quick-lock mechanism and a comprehensive 110mm step-ring adapter to slide onto lenses of varying diameter, the shade prevents stray light from hitting the lens and washing out your image.